I'm tempted but leery. Any thoughts? Last edited by Default; 04-12-2019 at 03:54 AM. I edited your post because the link was broken. Looks like it took a pretty substantial blow to the lower bout. The buzzing could be a high fret, a trussrod adjustment or worse. Pretty guitar and the price seems ok for the condition. Sure would be nice if he took returns. I would like to see that one in person first. And... it's hollow! Not many of them with HB-1s! Last edited by Default; 04-12-2019 at 04:02 AM. Welcome! Price seems reasonable, but there might be more going on with that guitar than just the damage around the output jack. From what I can see in the photos it appears that a part of, or maybe the entire neck was replaced, although it looks like the original fingerboard was used albeit with new binding. Could be a nice repair job, but something that I personally would not buy without actually being able to hold it in my hands. Last edited by hansmoust; 04-12-2019 at 07:38 AM. The seller is a little vague about things like What exactly were the neck repairs? 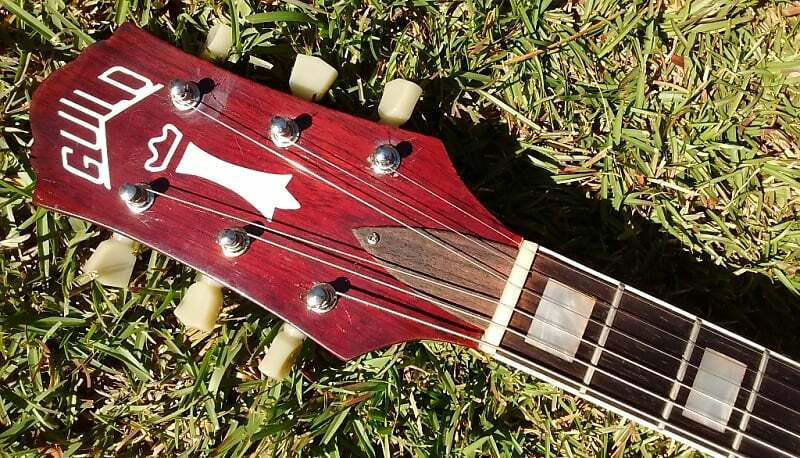 and What specifically is going on with the truss rod? I've had luck with trussrods before by adding a couple of thin washers under the nut. The price is tempting but she's scary. Boy, it's hard to tell, but it kind of looks like there's a scarf joint around the 12th fret and perhaps another around the headstock? I agree with Hans that this seems like a partial/full neck replacement, rather than a neck/head repair. 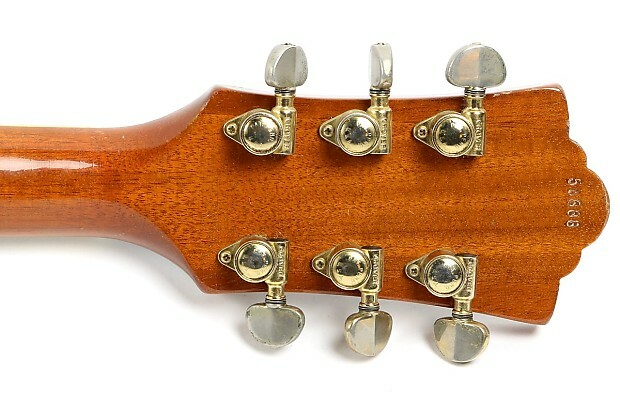 At minimum, the headstock doesn't seem original to me, as there's no evidence of S/N or former tuner footprints and it doesn't look like it's got outer ears made of separate cuts of wood. Is this guitar old enough that the neck would've been 3-piece, with a maple center strip? 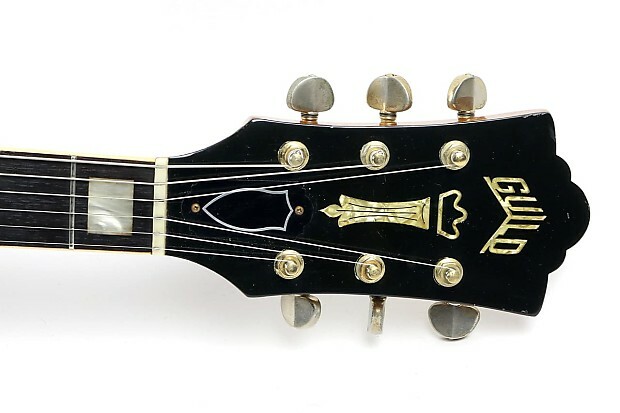 With seller's admission that the truss rod is non-functional and that there's issues w/ fretting out, I'd value this at whatever it'd be worth if it needs a full re-neck. The fretboard could probably be re-used and it's possible the neck could be used if the angle's okay and the truss rod can be replaced/freed, but don't bet on it. Also possible it's got a weird/clumsy shape to it, since it's something somebody shaped by hand and can't be counted on to be "more or less" Guild-typical. 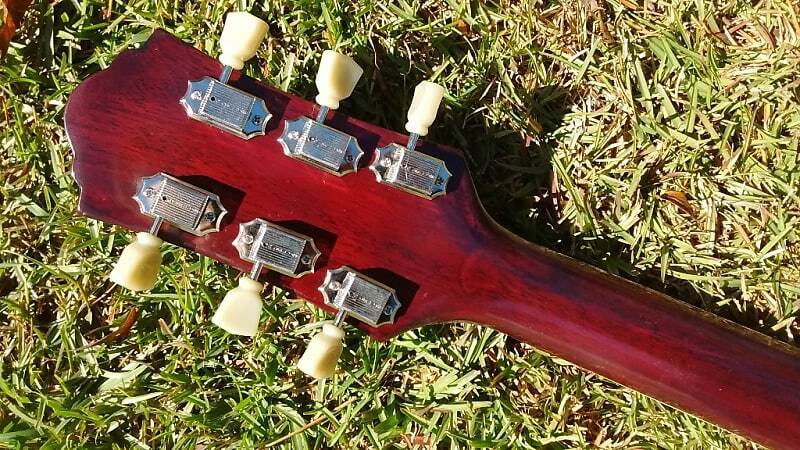 The entire headstock (and probably the entire neck minus the fretboard) is not original. The entire shape is not right and it has no ears! Also the not functioning truss rod could be related to the damage. Maybe the current seller might not even know about the repairs if the repair was not done during his ownership. Last edited by SFIV1967; 04-12-2019 at 09:32 PM. You know, it's possible there is no truss rod whatsoever, lol. That was exactly my thought as well! I just didn't want to say... However with the extra effort of carving a kind of trussrod cover there might be one. Question is if it has a fit to the body side. I looked long and hard at this one and noticed all the issues mentioned above. It all depends on the quality of the work and if key issues were executed correctly, such as neck angle, working truss rod, etc. If the neck and fretboard work are sound, I don't think it would be that difficult to get the headstock back to looking original with some rework and a spare overlay. All told, as Hans states, I'd have to have the guitar in hand for closer build quality inspection and a playability test. It might be worth it to salvage one of these rare beauties.